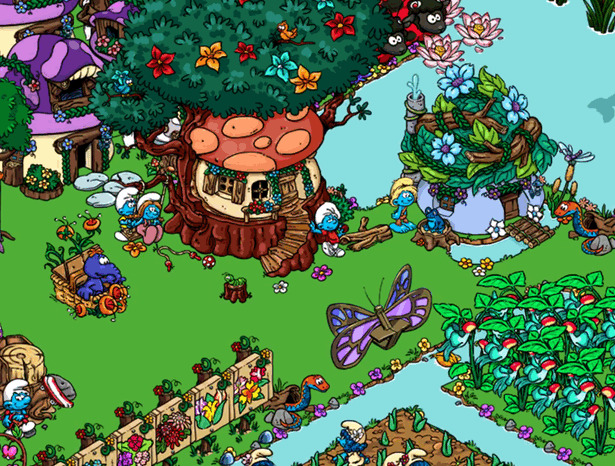 Smurfs' Village iOS version 1.69.0 is live and available for download! Packed up my Halloween decs and put out Thanksgiving and Christmas decs... it’s that time of year time to decorate with festivities. falalalala. A random question: does anyone else have problems getting the settings toggles to slide? It take me many, many attempts to get the switch to move and sometimes they just won't move at all. It took me (literally) several minutes to turn the Effects on and then back off earlier today. Cupcake Yes, tapping the restart button will give you the option to start over again. That being said, there is a big difference between choosing to use the restart button and doing a delete and reinstall. If you delete and reinstall, then everything is completely gone, and you start over literally from scratch. 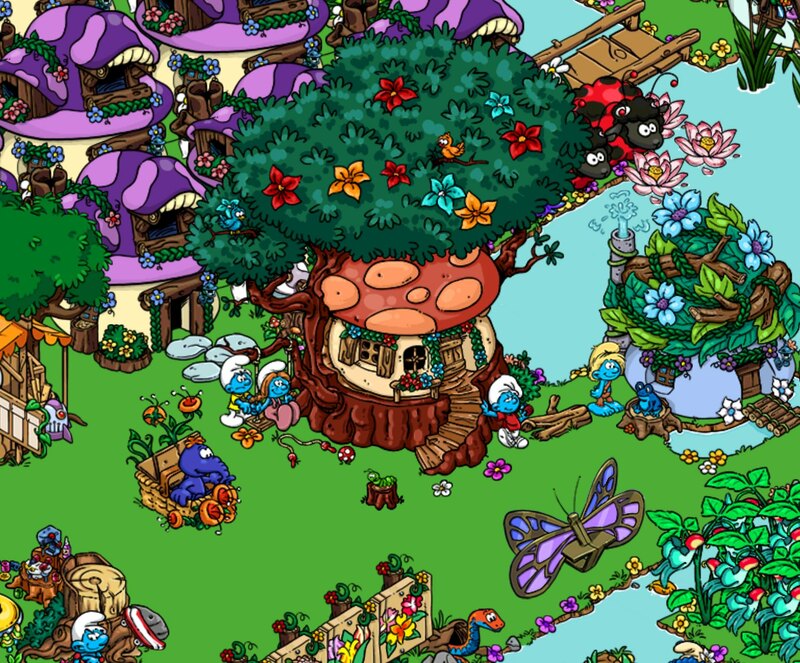 However, if you choose the restart button, then yes you also start over from level one again, but you retain all of your purchased currency, such as Smurfberries. As for why it's still there in the Menu, I think it's basically just a hold-over from the early days. It is less relevant now, especially with the recovery tool, and cloud saves and so on. *facepalm* Thank you, Spelling Bee! The Restart Game button has some sort of weird pull over me. Every time I enter that menu I want to tap it. It's kinda like the urge to touch the side of the kettle to see if it is hot, even though you know it might burn your fingers. Or poking a wasp nest with a stick just to see what will happen. Ack. Thank goodness my impulse control issues have improved with age. I will continue resisting. The animals in the update are simply awesome! 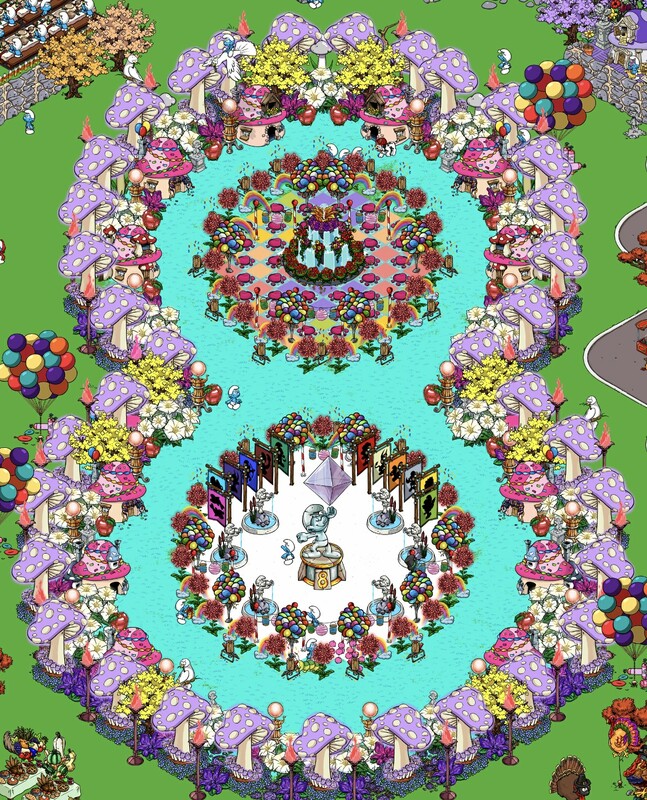 Kudos to the design team! I love the smaller sizes of all items, including the wonder - otherwise I‘d run into a severe space problem. That being said: Please Bongfish - for the next Island update, please offer a land expansion, please! Same goes for the Main Village, by the way. If there‘s anything I‘m hoping for for the next updates, it‘s more land! he's adorable and the animation is great!! Thank you for sharing the animation! I have tried so many times to win him!!! I’m super excited he is part of the game now, I can’t wait until he is in my village! Where is this in the menu...I like him too? Ooh, wow....I might get him then if I am lucky. Did anyone grow the outback animals? I cannot grow any? I mean after spent stardust, it went back to the original status when I came to visit after some hours. I did not try 2nd time, but came straight to ask if anyone encountered the same problem. Last edited by Chat noir; 11-06-2018, 06:40 AM. Reason: Tried (several times) to tag Kelly Hoon, but only Kelly is recognised???? Kelly Hoon Not at all, happy to help! Twinkiepie any chance bongfish might release past complimentary items... like the yearly staues. I will try to find some proof I guess. It will take some time due to circumstances still but I will try ! I just found Sweepy’s dirt pile!! I thought I long ago when looking for it had moved everything, but apparently I missed checking behind 1 tree. I change my green ancient oaks out for the orange ancient oaks for the season & yeah! there was a bouncing dirt pile! So for those others out there that “lost” it too- it’s probably there somewhere you thought you looked! THey have a bad habit of hiding behind things. I recently found one hiding behind my old halloween decos. If you p ut your village into move mode (go into move mode then tap on the icon on the lower left to turn all your houses and stuff transparent) sometimes you can see hte little flag bouncing behind a house or tree. Last edited by Chat noir; 11-13-2018, 04:16 AM. I may not have been active on the forum in a while, but I've faithfully played the game every day. Love the new animals we got! The Tasmanian devil isn't too pretty but that is their unfortunate lot and not the fault of your designer, haha. I want to have all of them as babies but decided to just grow all of them. I had already grown the wombat and seen that we can switch it back to a baby, yay. (not that I hadn't bought two wombats immediately anyway, haha) I hope that works with the other animals as well, although I might end up buying two of everything anyway because cute animals are my thing. Also love the massive tree and the jelly fish! That's great, thank you for letting me know! I might give them babies/parents/friends anyway, but it's good to know I can choose if I want a horde of baby animals or adults. I didn't grow Explorer's animals because the small ones are so cute. Pray tell, can we change those too? Or is that a new feature? Evanna. 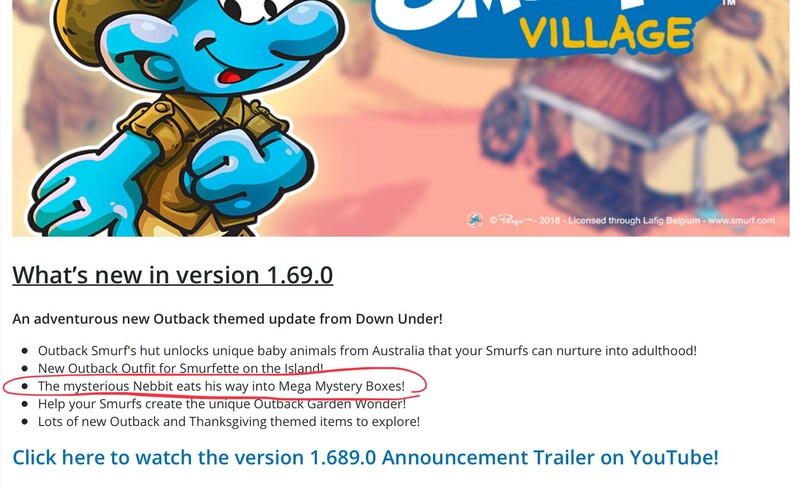 I think this is a new feature for the outback animals only, sorry! I suspected as much, thank you! I like his animals better as babies, so I'll keep them that way. So I'm seeing these 8th anniversary and prior year statues--did I miss something where do I get these or how? SpyDy6 you can find the 8th statue in the '' featured '' menu in the store. but unfortunately, you can't get prior year statues anymore since they were deleted from the store already. How are you guys doing with the Halloween game? I manage every time, but I still don't have all prizes. I have one sheep, two pumpkin balloons, three pumpkin lanterns, three teddies, and two bats. That's the result of playing two or three times a day since we got the game. It's slow going over here, too. I can finish every time, and have been since before the clock was adjusted, but am still missing the sheep and the last two prizes on the bottom row. Just won a candy corn lamp last night for the first time. Have won one of each the rest except for the jack o' lantern balloon (have three or four of those).